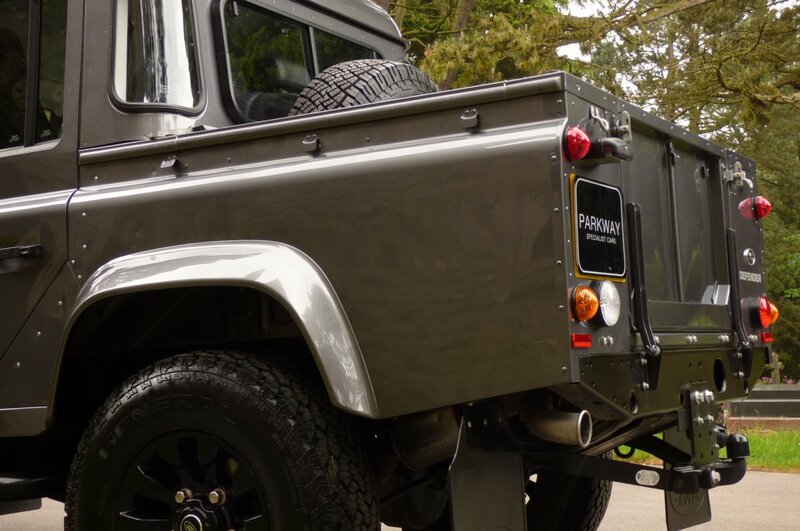 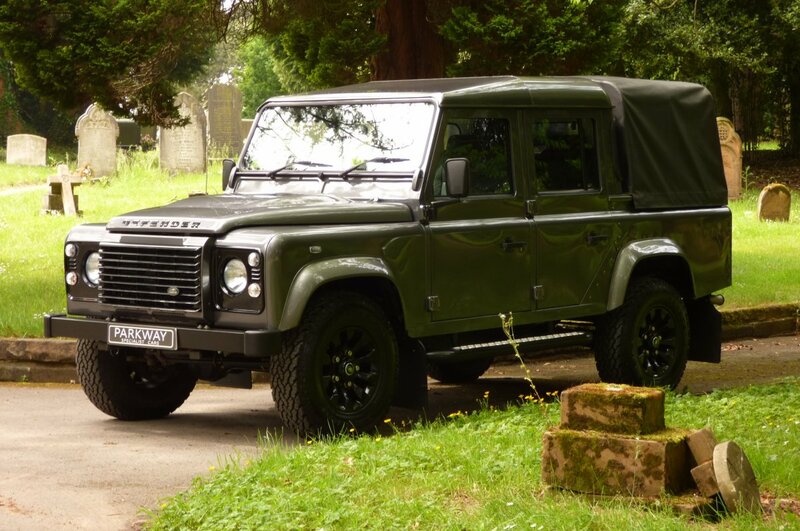 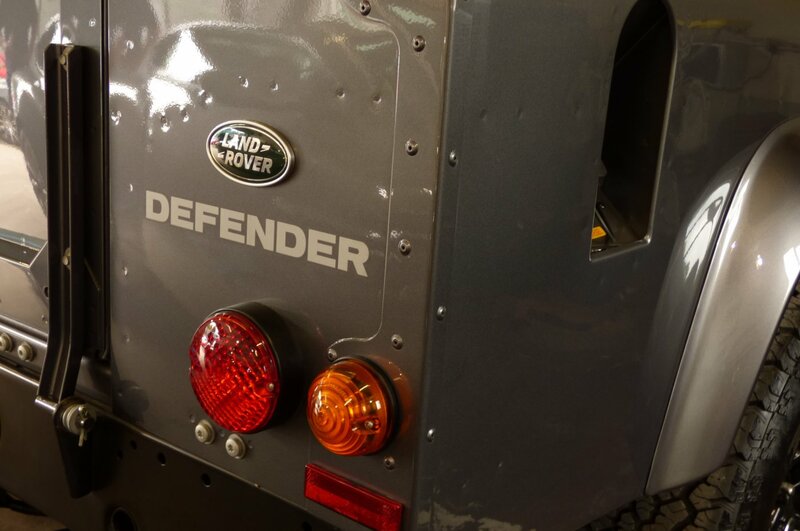 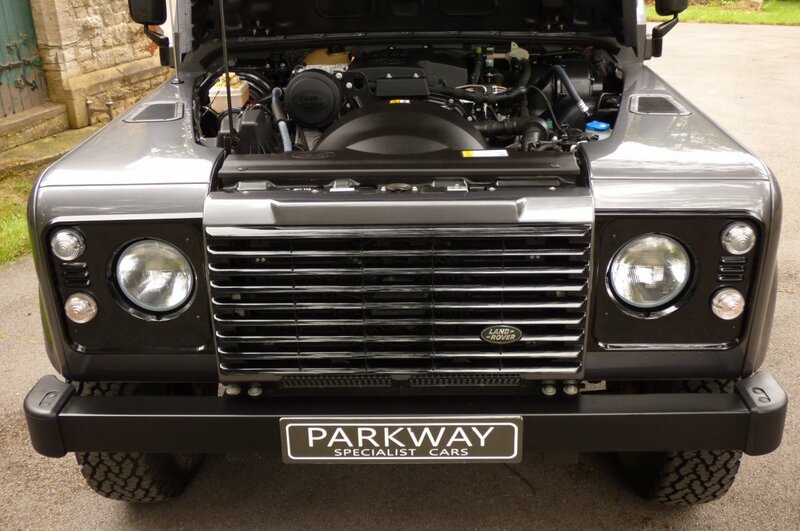 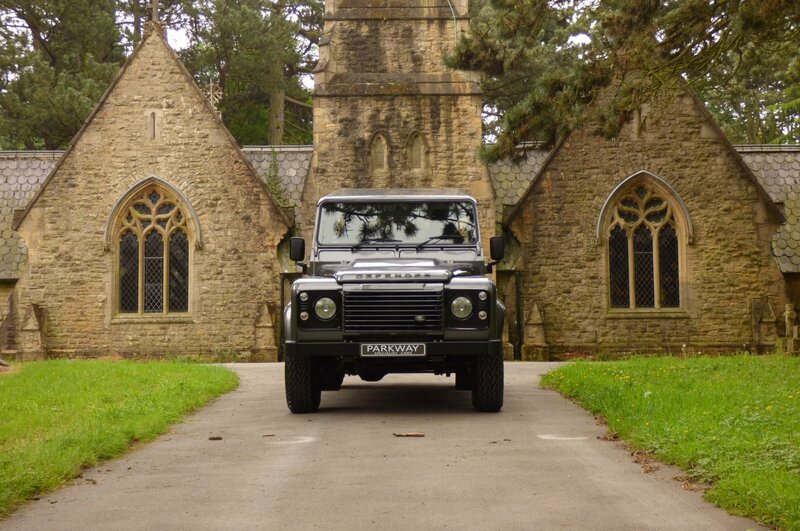 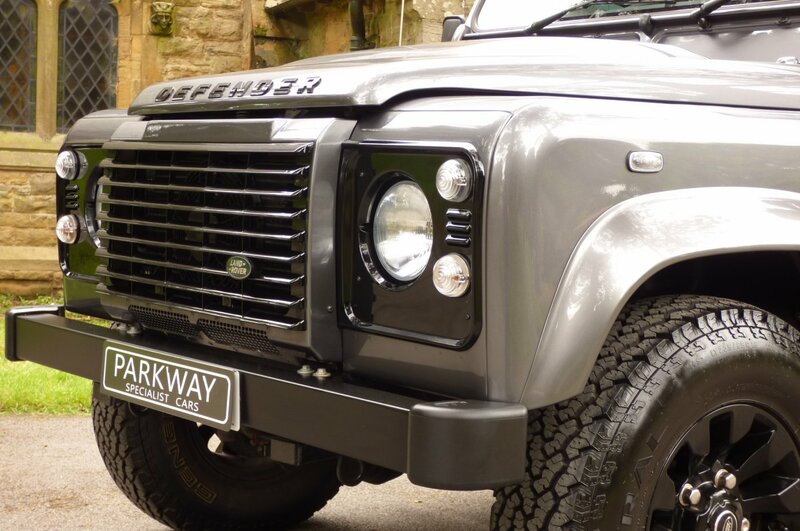 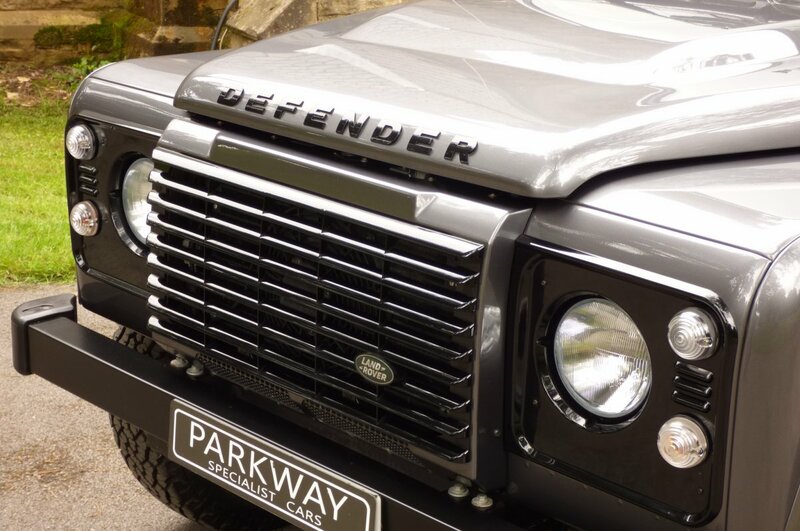 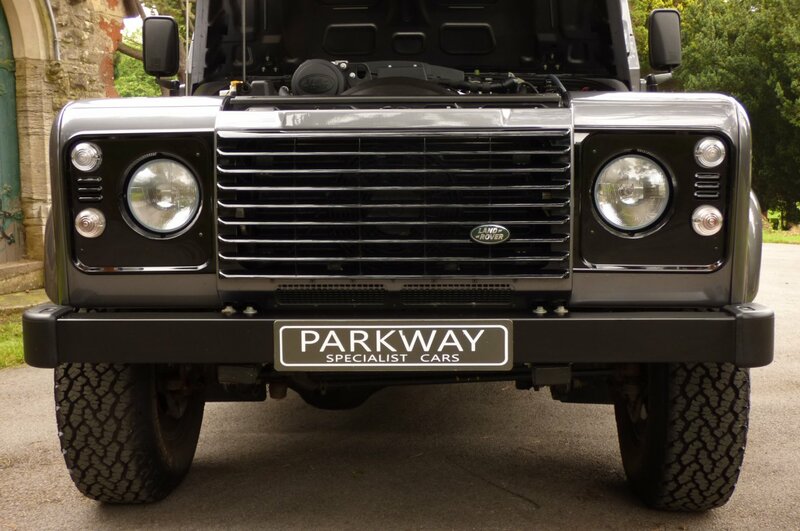 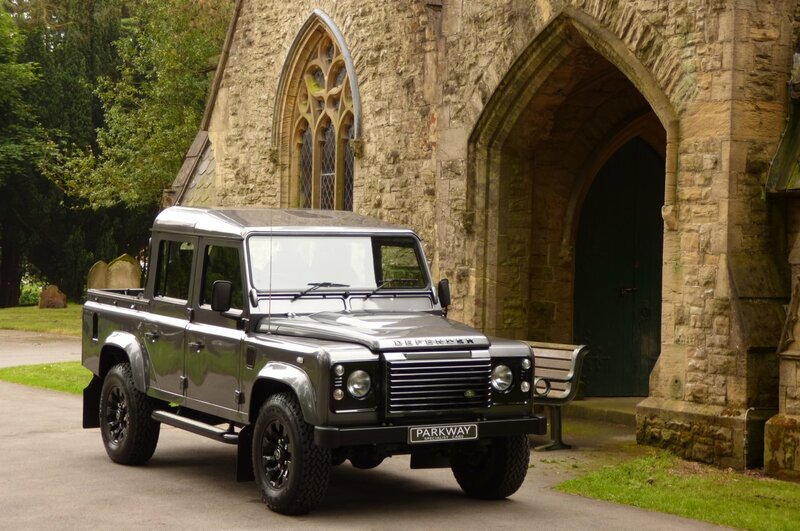 This Stunning Example Was First Registered In The March Of 2016 By Marshall Land Rover And Since This Date, Our Unmarked Example Has Had Just The One Private Keeper Registered From New. 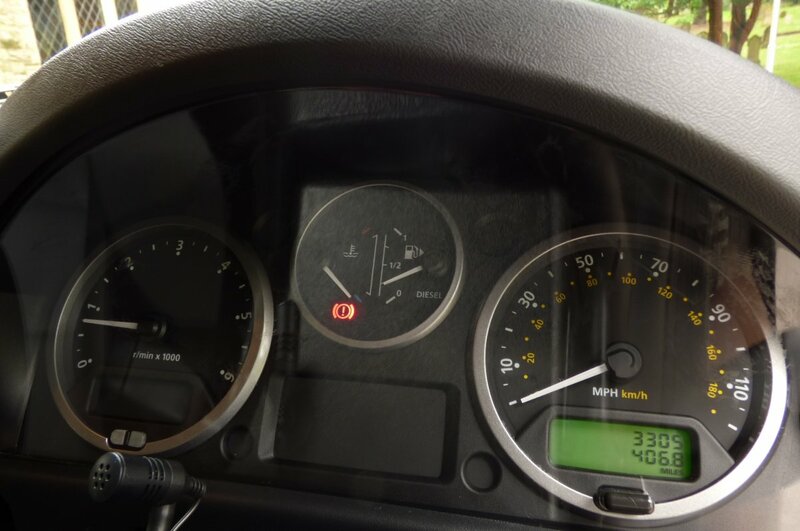 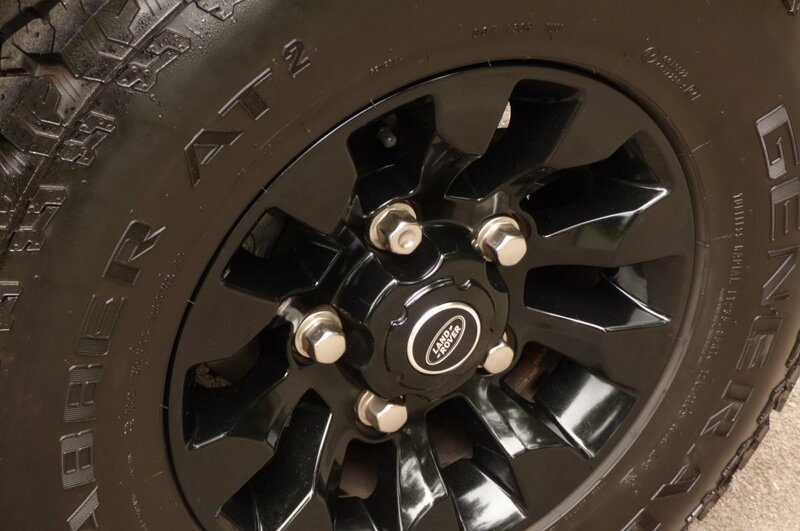 Over The Last Two Years Chassis Number GA488901 Has Only Had A Mere 3306 Miles Applied, Which If We Break This Down Further Is Approximately Just Miles 1653 Per Annum And With This Current Sensational Current Mileage Reading On The Truck, The Total Stunning Condition And Remarkable Presentation Is Evident. 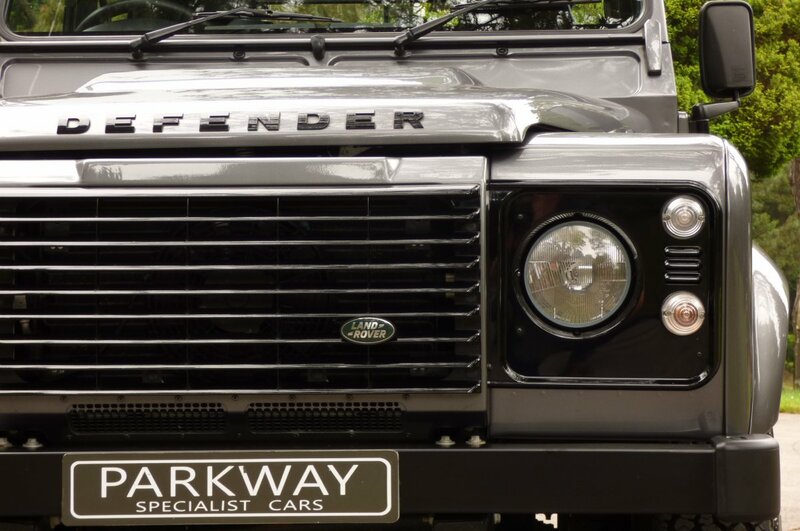 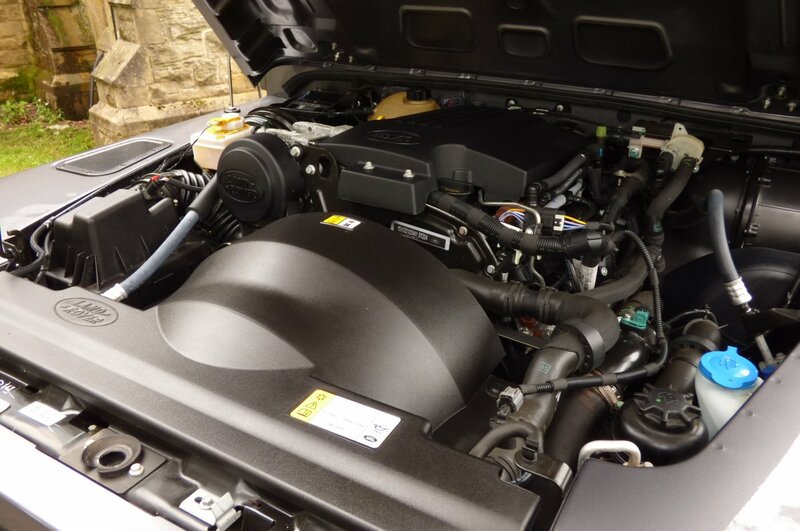 Once Sold We Will Instruct Our Workshops To Complete A Fresh Service Prior To The Next Lucky Keeper Taking Charge, Which Will Also Include A Full Vehicle Diagnosis Report And The Full Under Body Checks.  Also Once Sold This Now Rare Example Will Be Presented With The Entire Booklet Pack Set, A Fully Cleared Hpi Certificate, A Fully Functional Key Set And The Original Factory Build Card Listing All The Important Options Opted For From New. 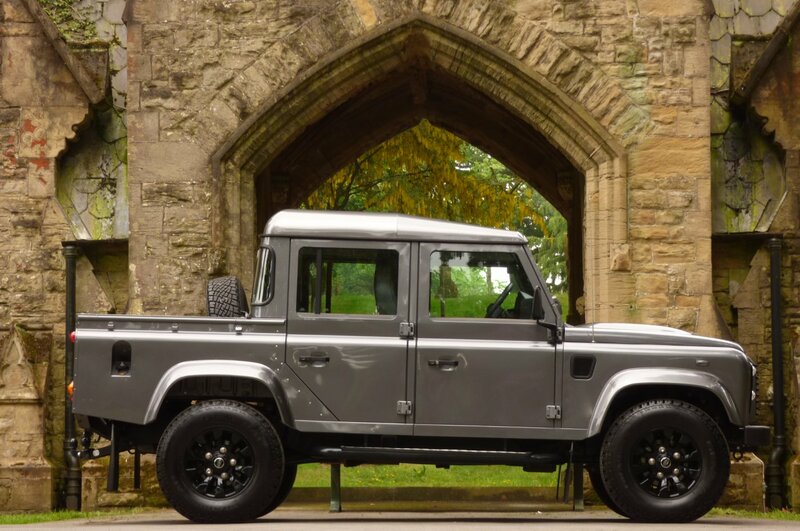 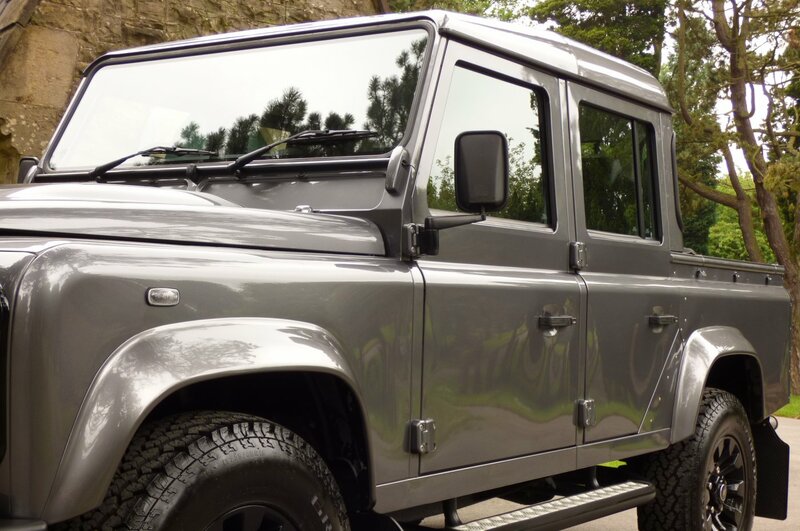 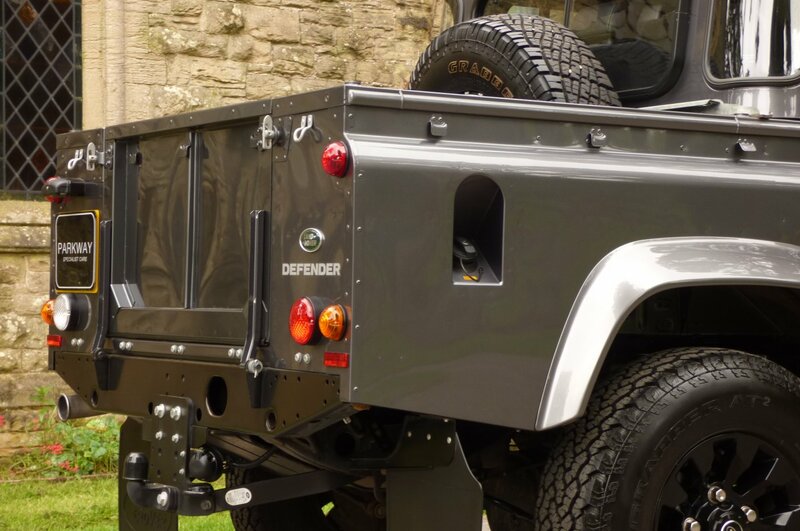 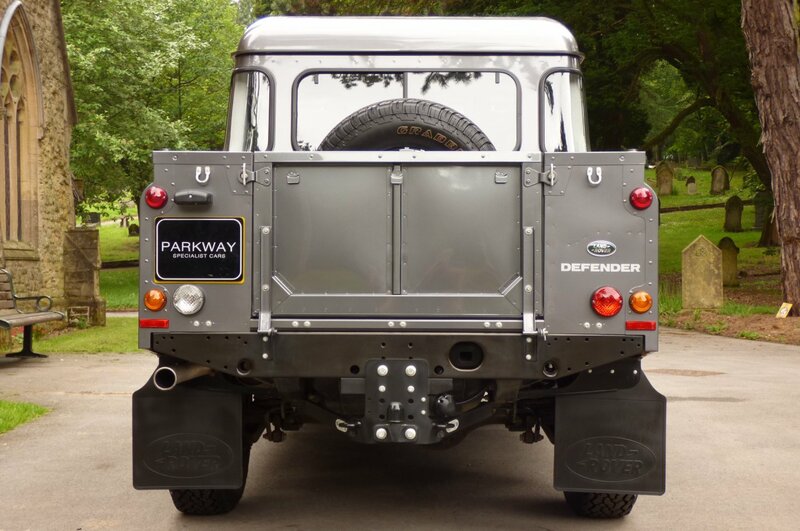 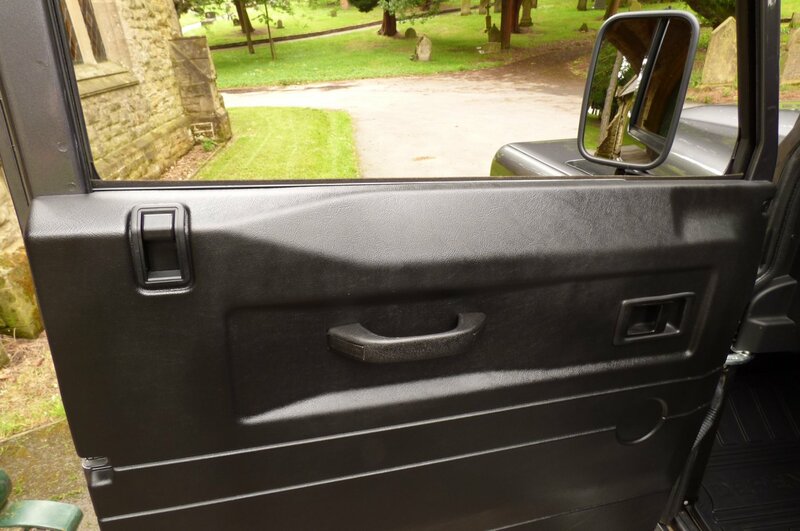 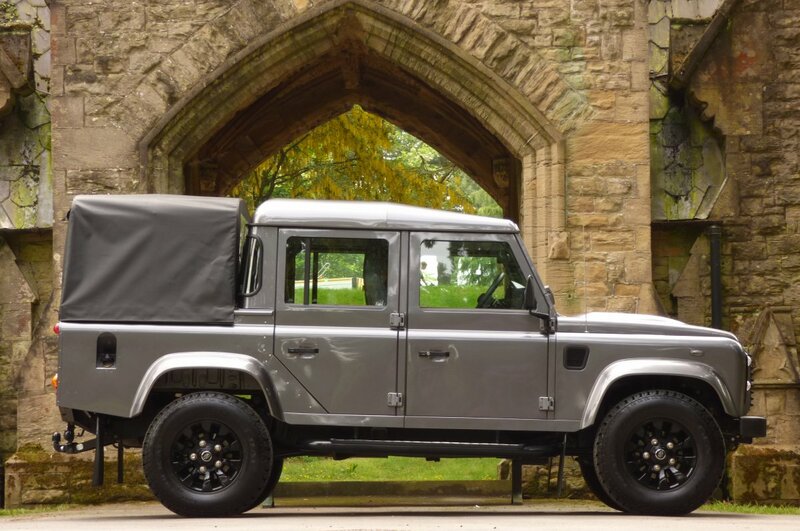 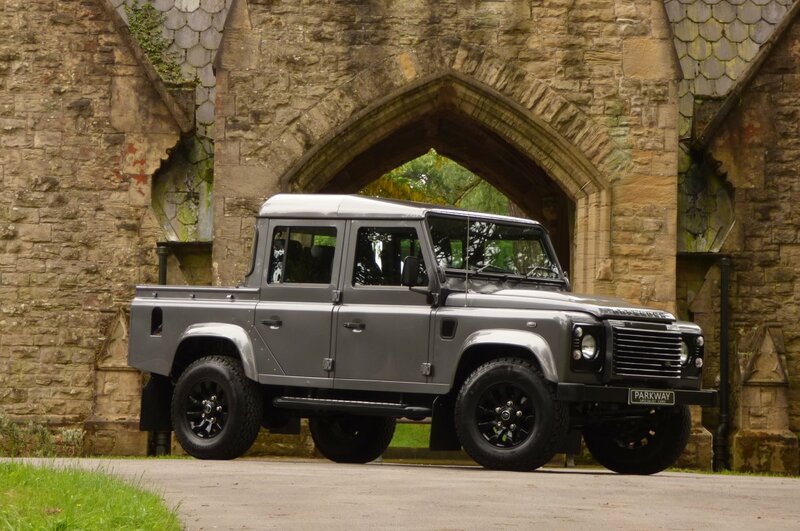 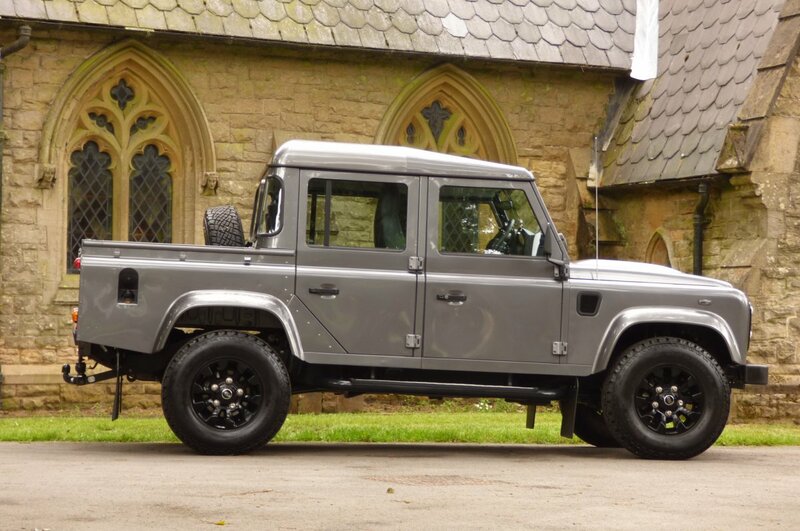 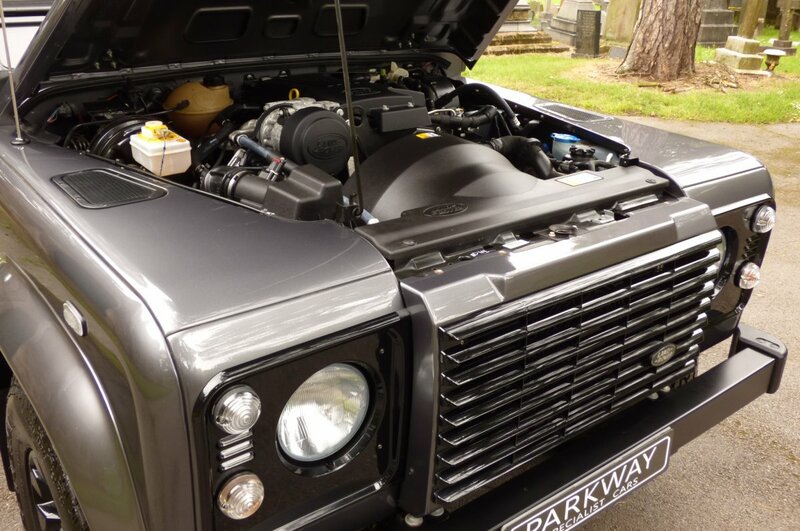 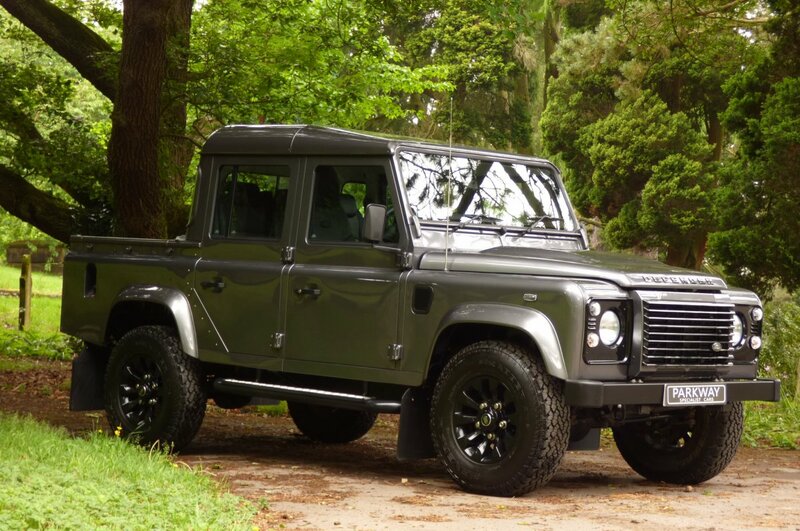 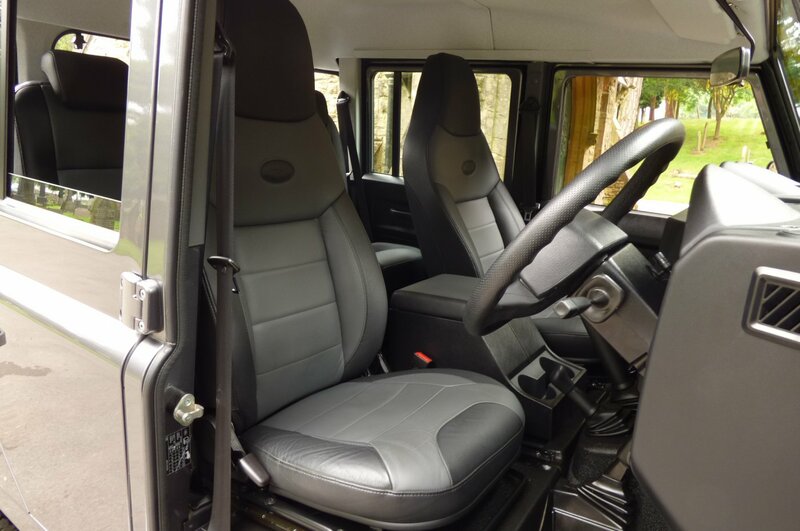 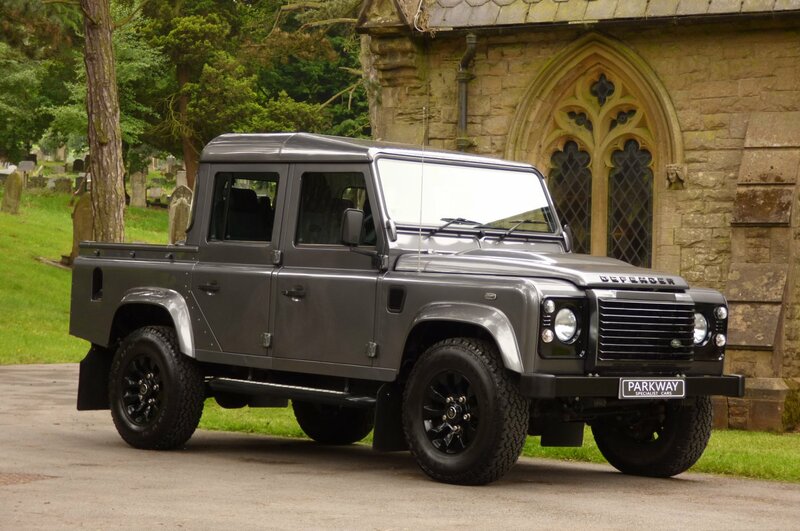 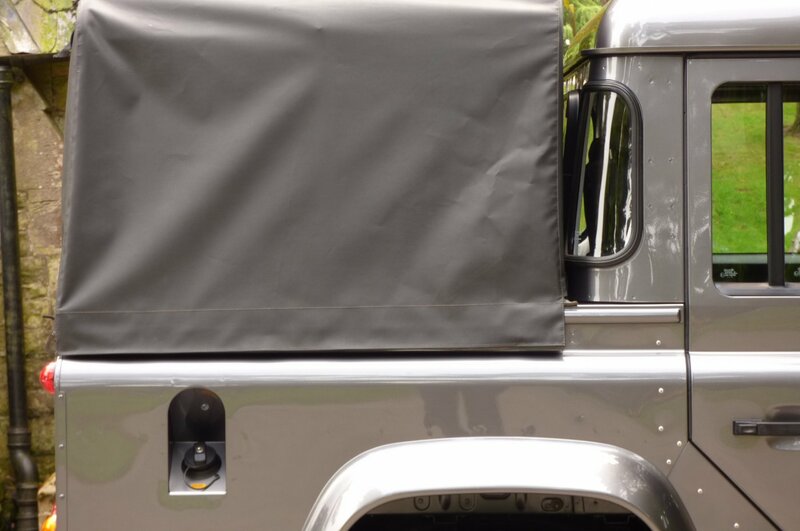 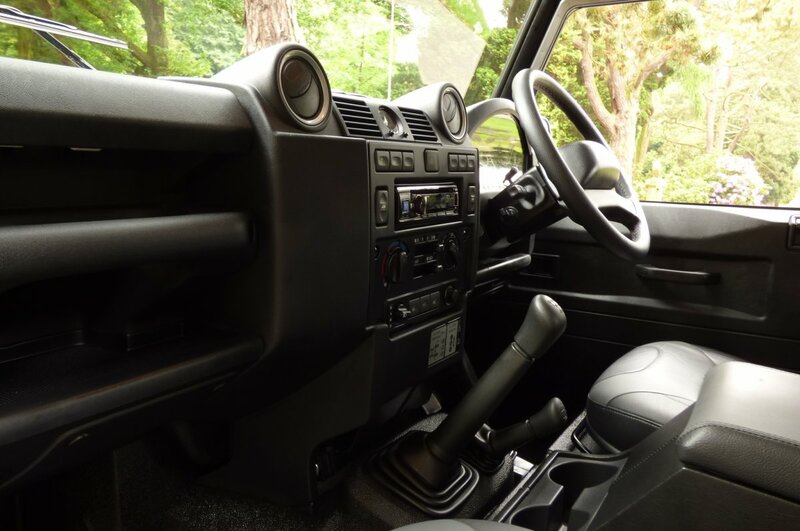 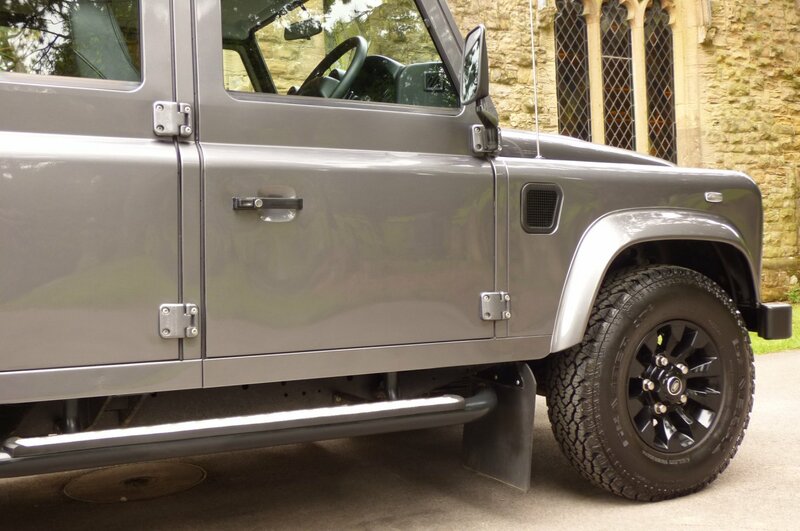 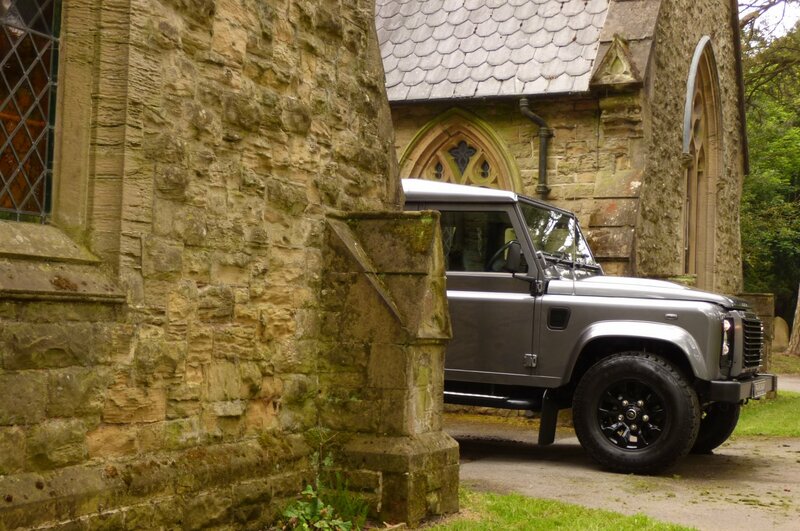 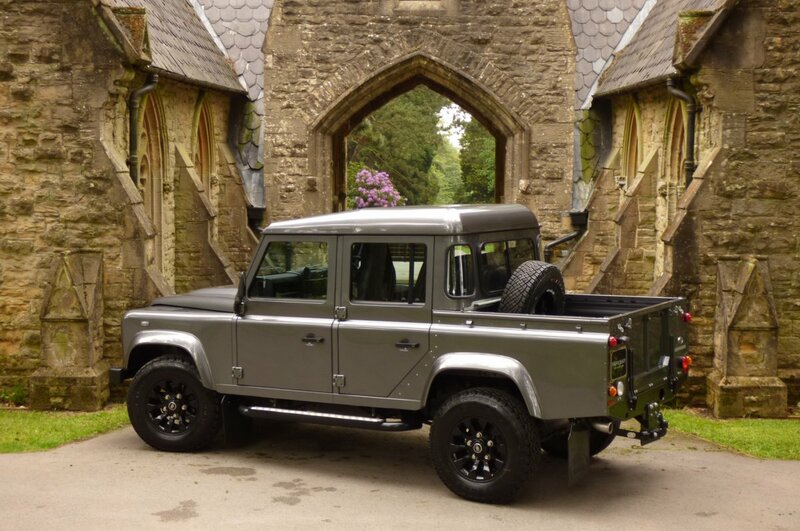 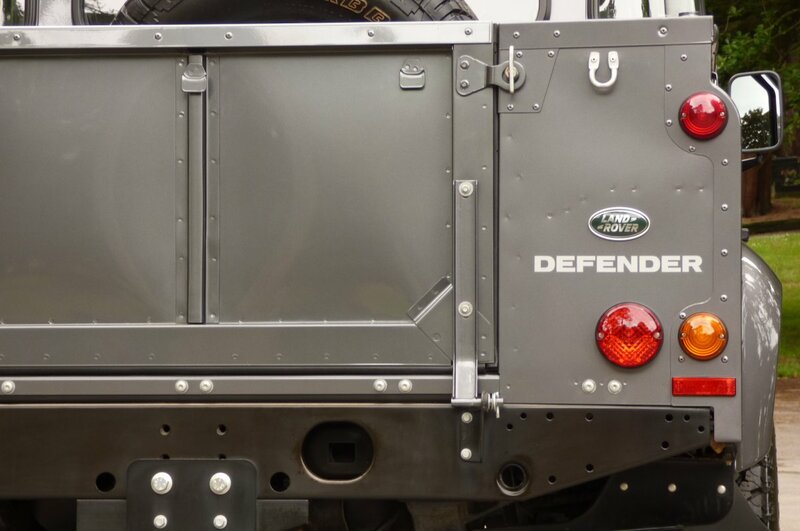 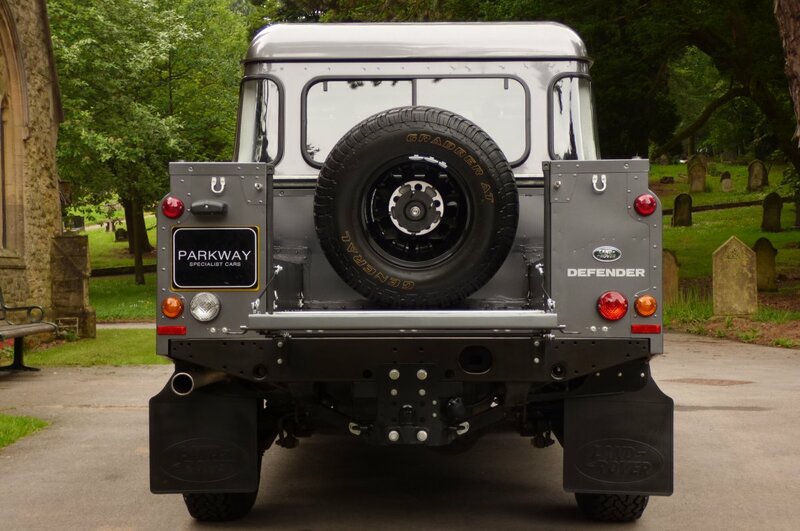 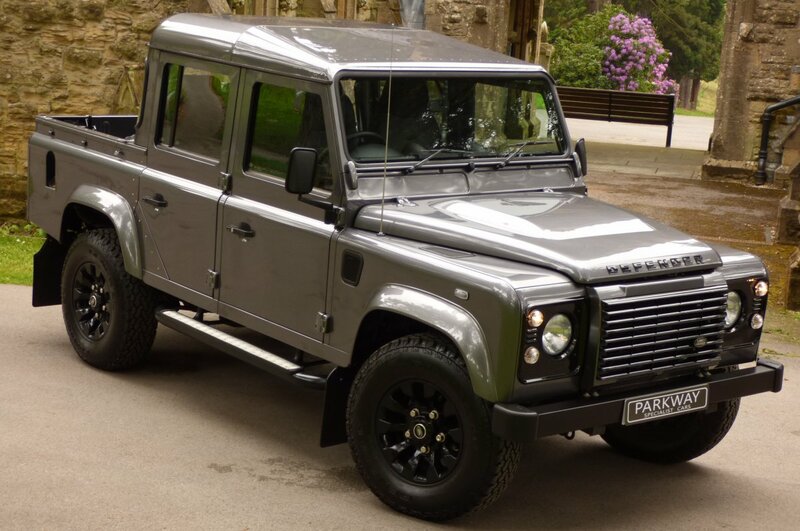 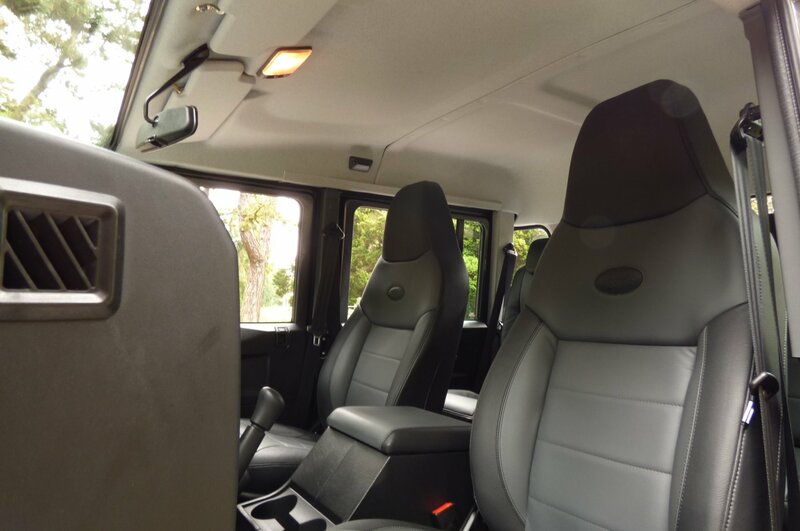 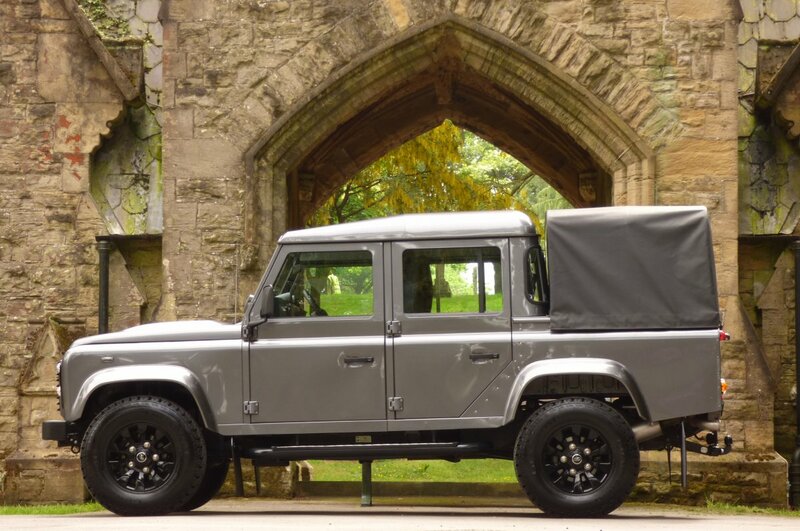 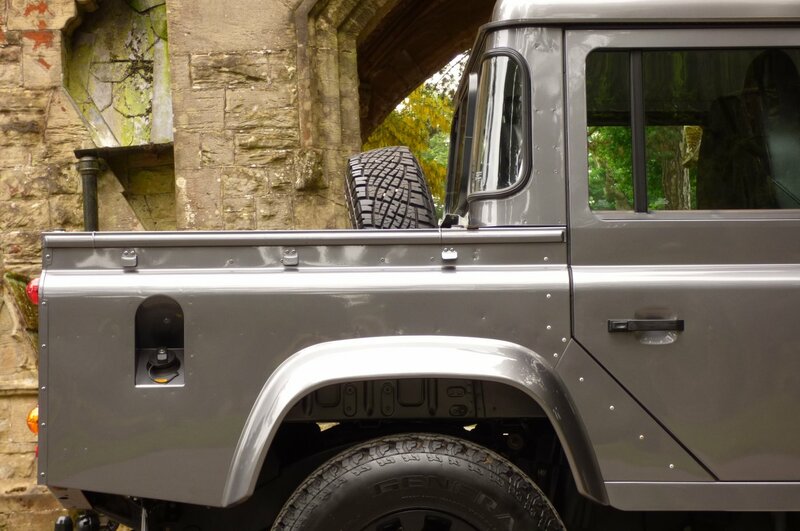 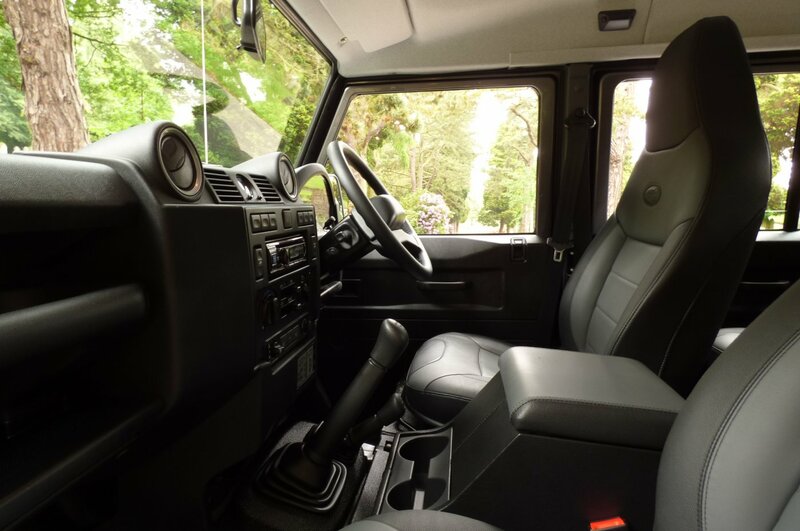 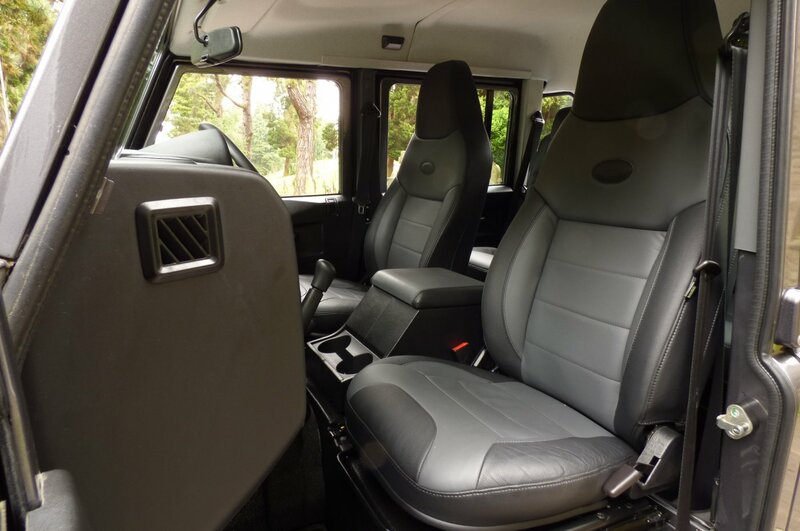 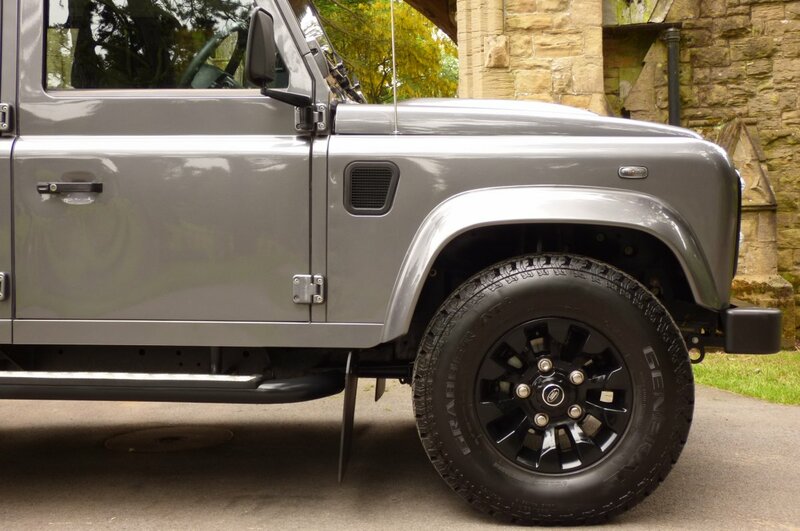 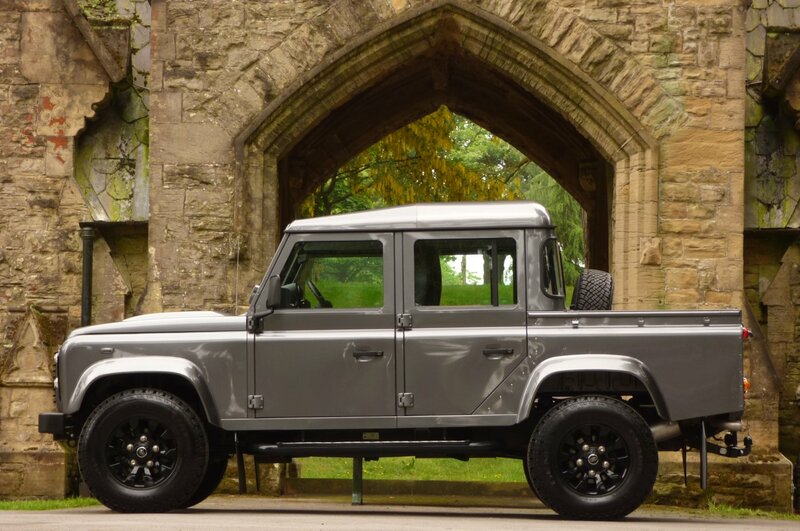 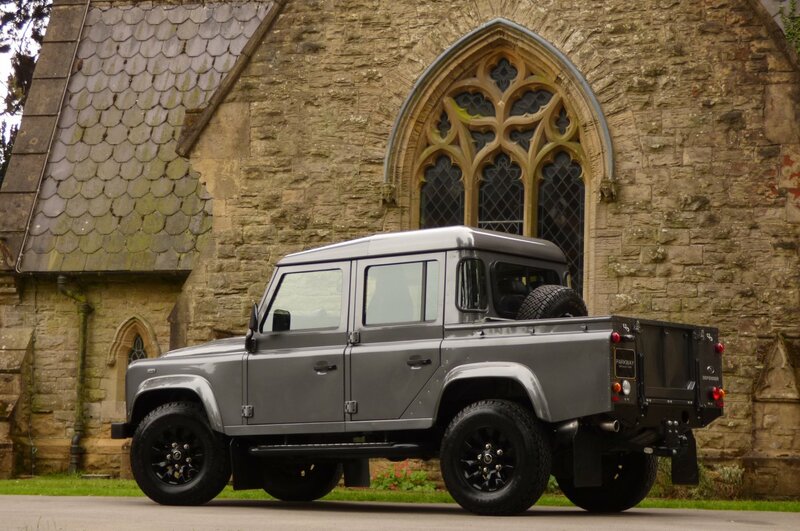 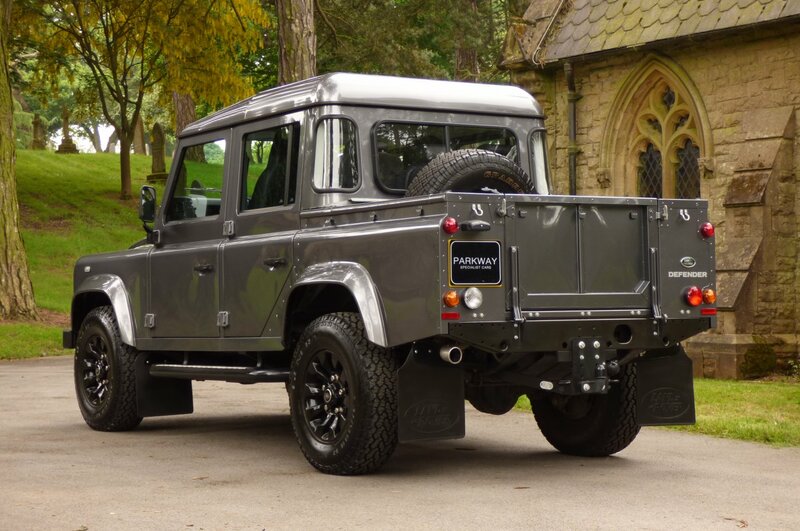 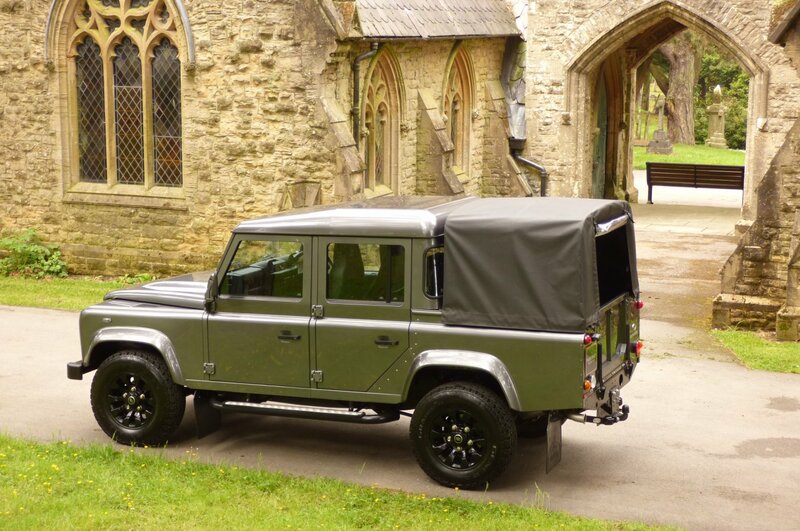 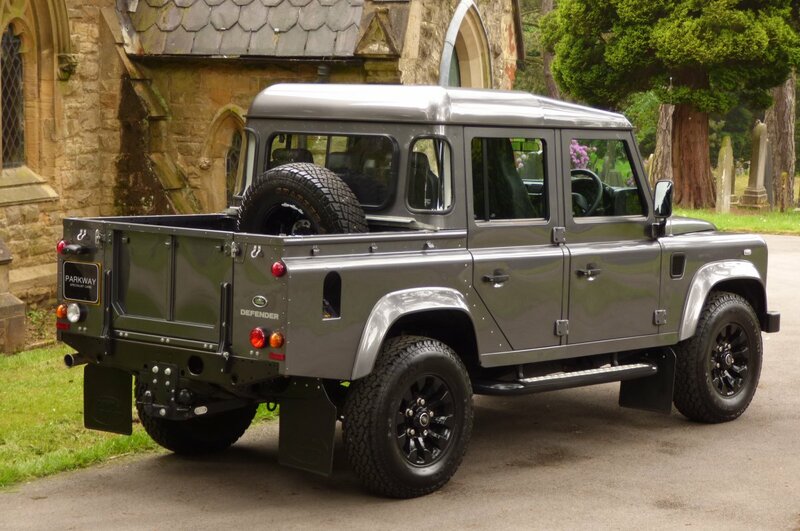 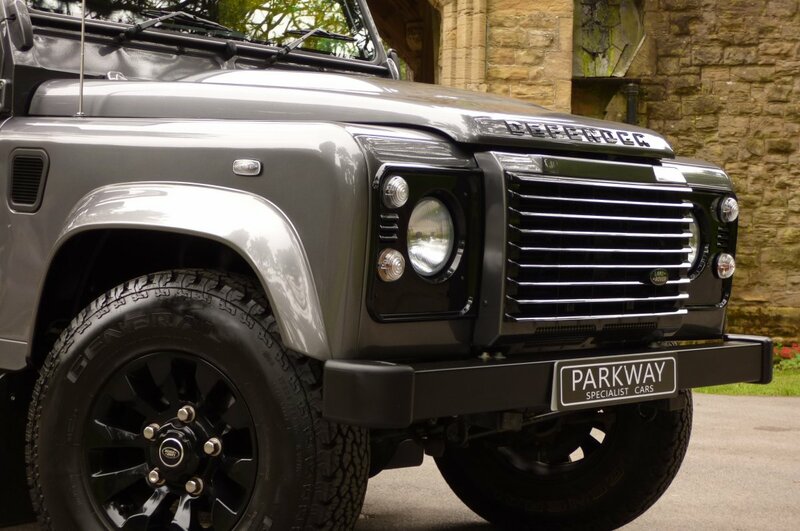 The Exterior Is Presented In The Desirable Corris Grey Metallic (Colour Code LRC 873), Which Perfectly Demonstrates The Signature Defender Curves, The Now World Famous Riveted Body Panels And Showcases Those Land Rover Lines off, So Very Well. 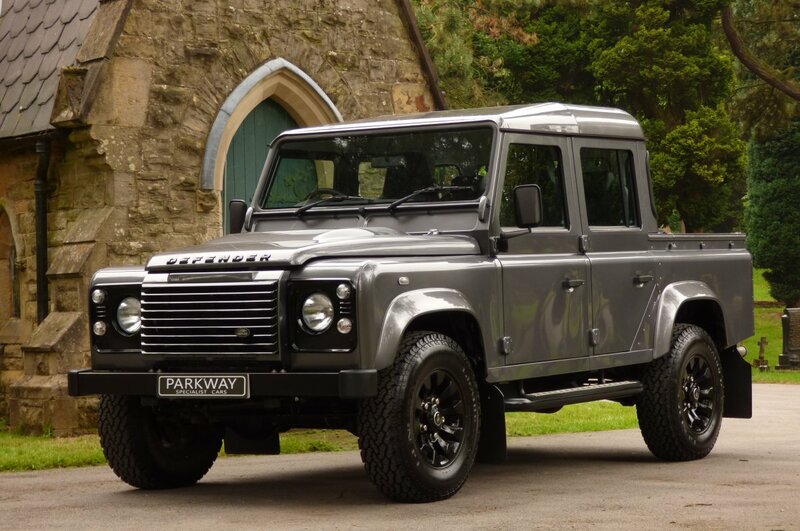 Further Factory Features Include The Unmarked Gloss Black 16" Jigsaw Design Multi Spoke Alloy Wheels Which All Sit On Branded Tyres, The Removable Black Rear Cargo Cover With The Plastic Rear Screen, The Land Rover Rear Commercial Mud Flaps, The Blackened Bonnet Chequered Plates, The Optional Land Rover Chromed Side Steps, The Land Rover Tow Bar, The Chromed Effect Singular Exhaust Tip, The Clear Front Lights With The Blackened Trim Covers, The Gloss Black Brunel Hexagon Front Grille Decorated With The Land Rover Motif, The Gloss Black Land Rover Badge That Dominates The Nose, Black Plastic Front Wing Engine Vents And Presented With The Green Oval Land Rover Motif To The Rear, That Finalises The Stunning Vehicle Stance. 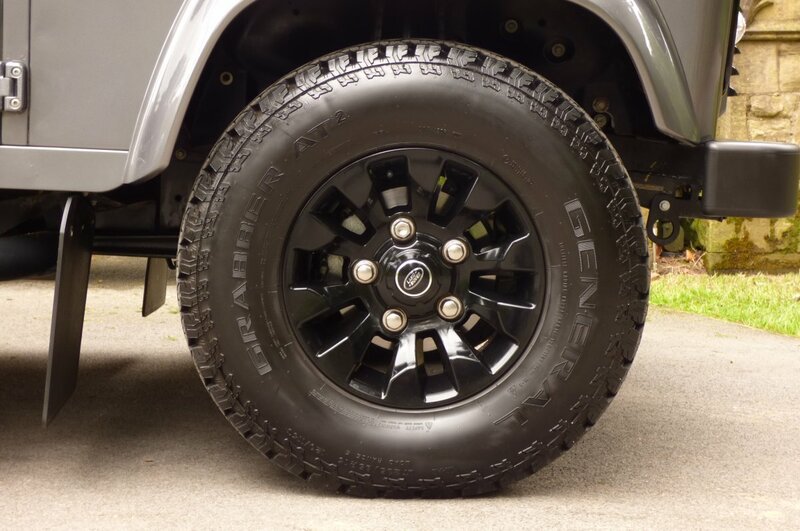 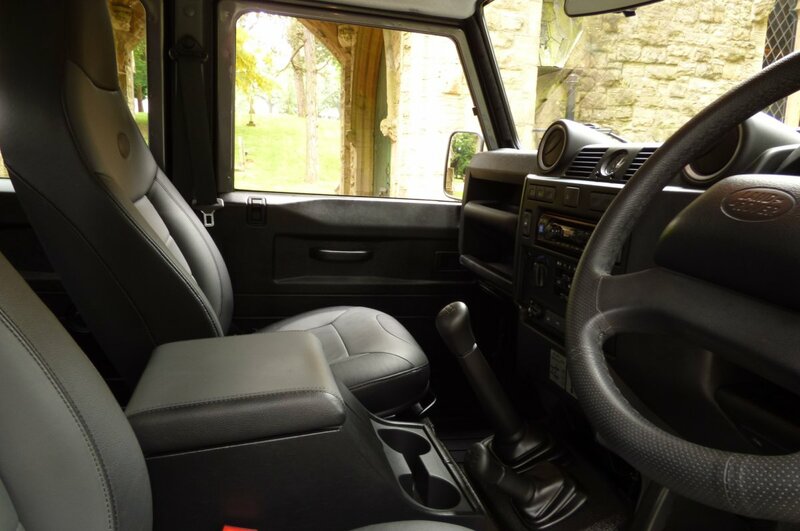 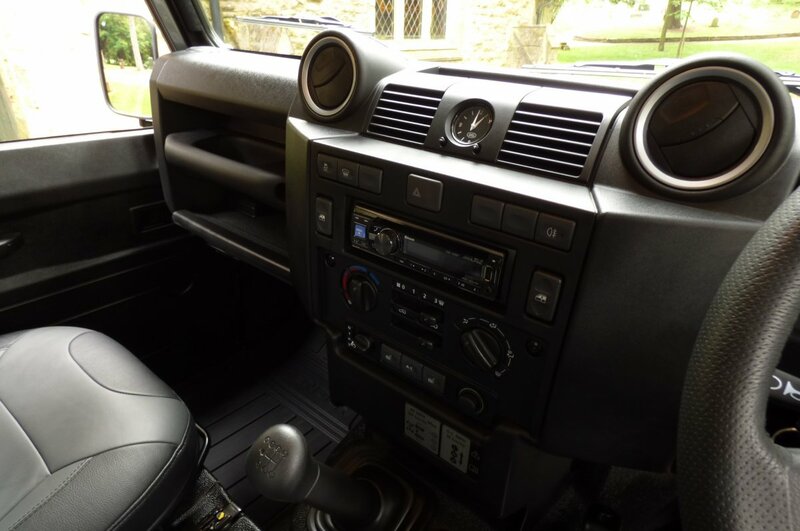 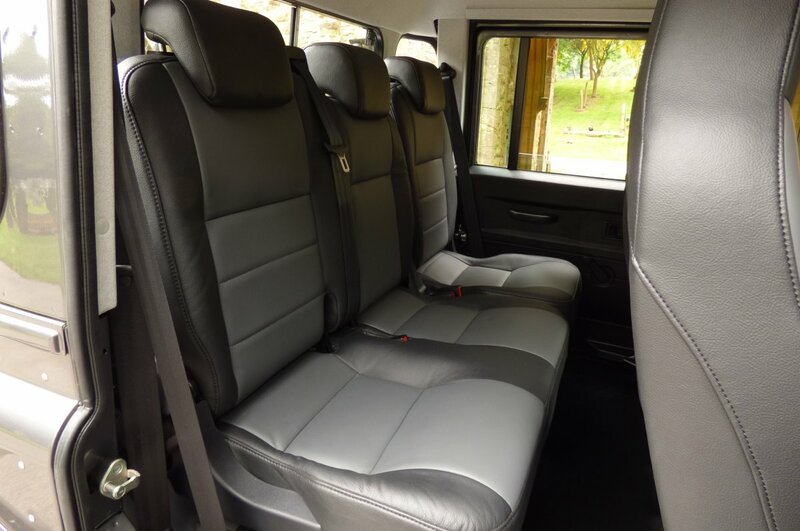 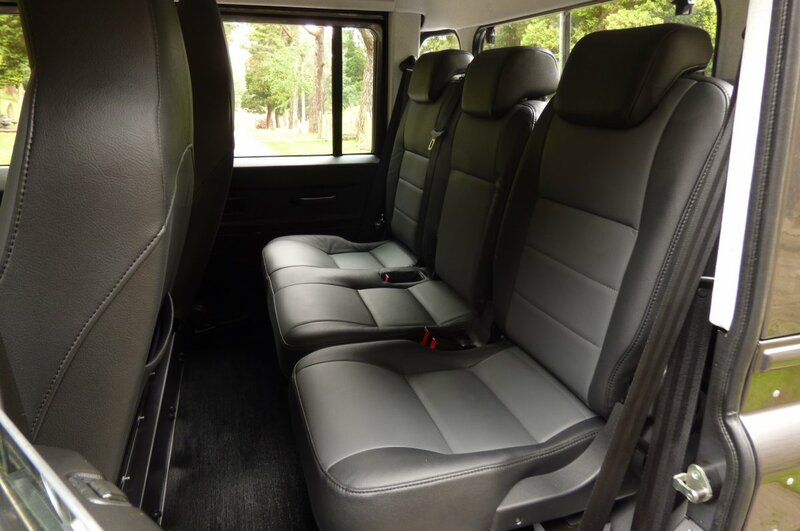 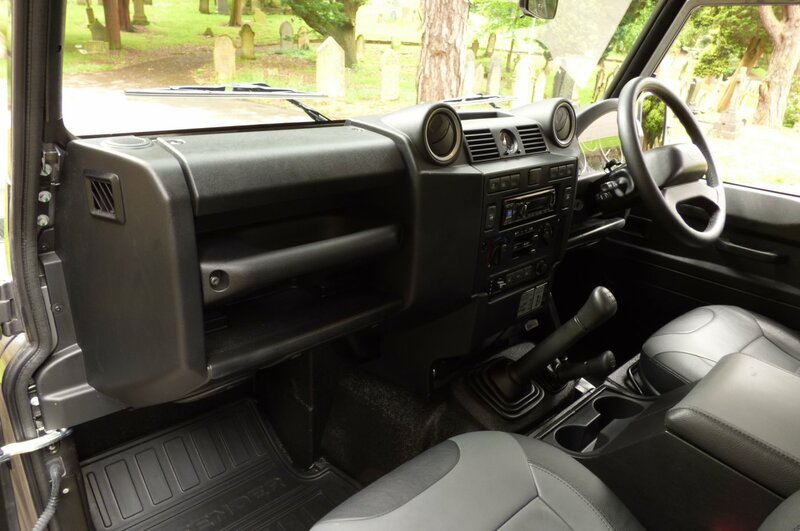 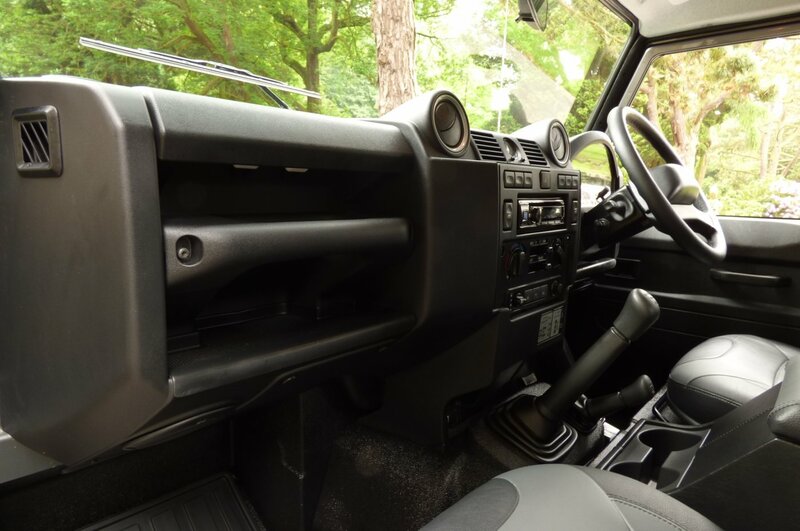 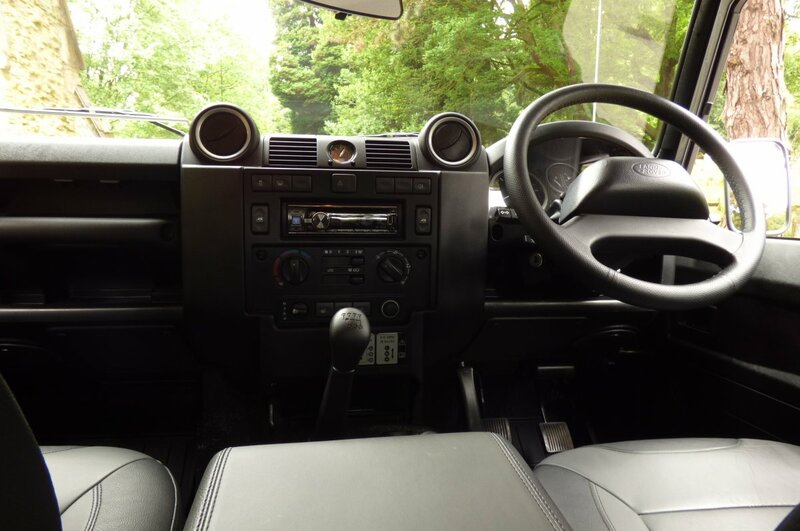 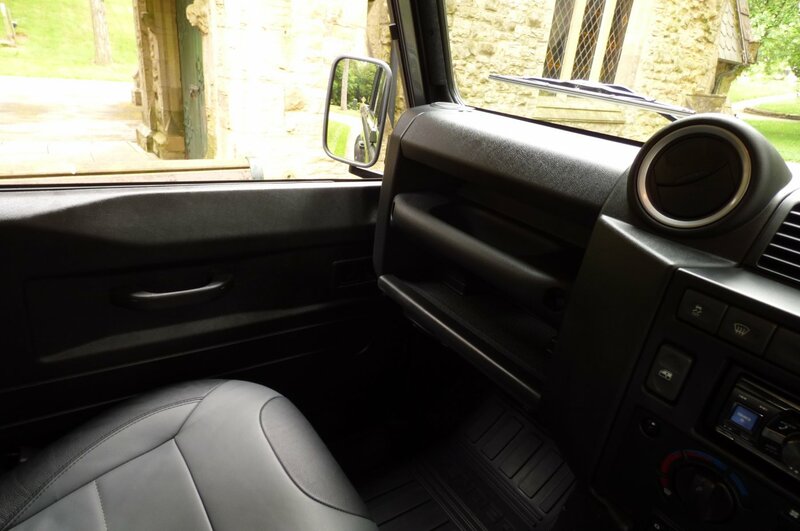 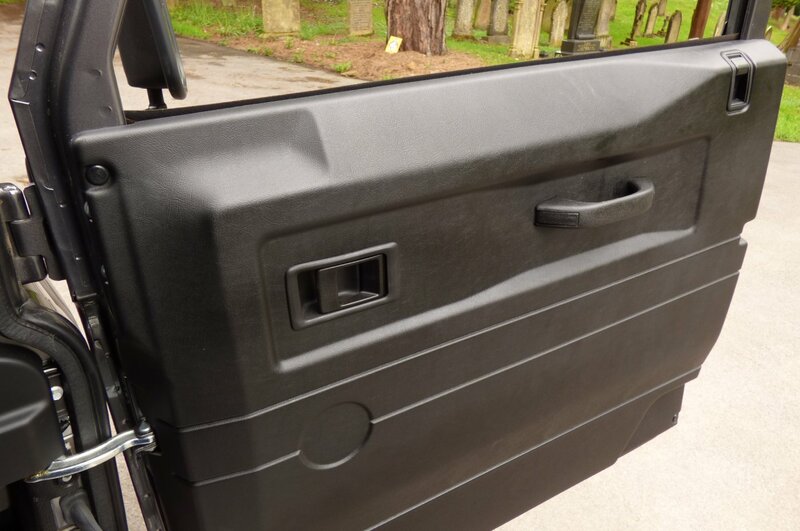 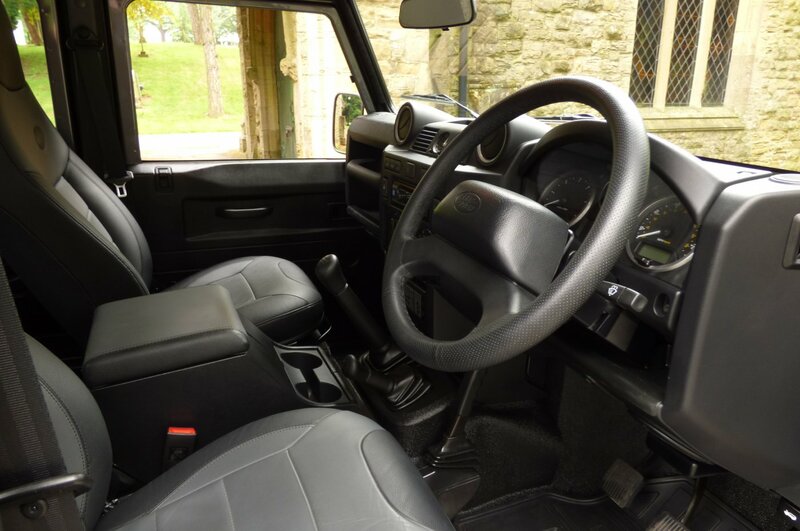 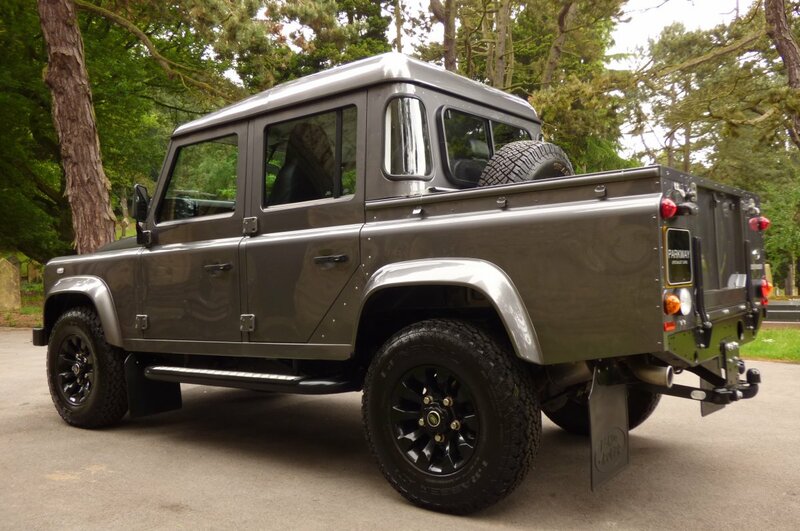 This Double Cab Looks Stunning From Every Given Angle, So To Arrange Your Own Personal Viewing, Then Please Contact Our Dedicated Sales Team Today. 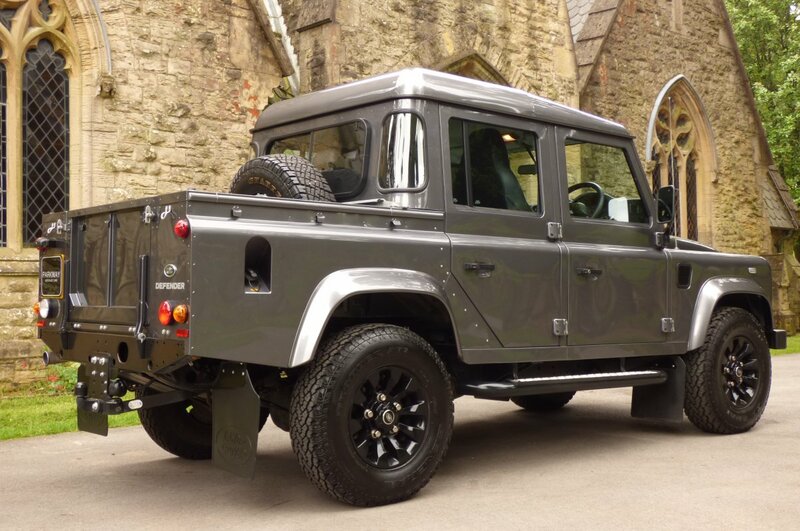 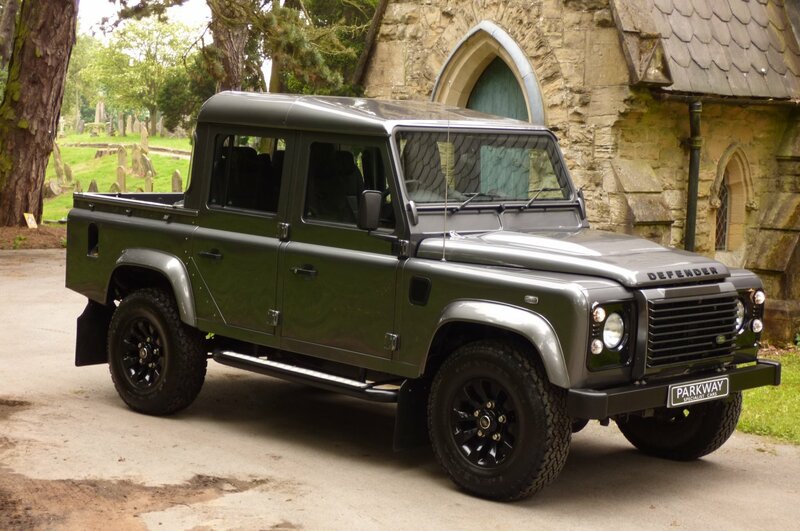 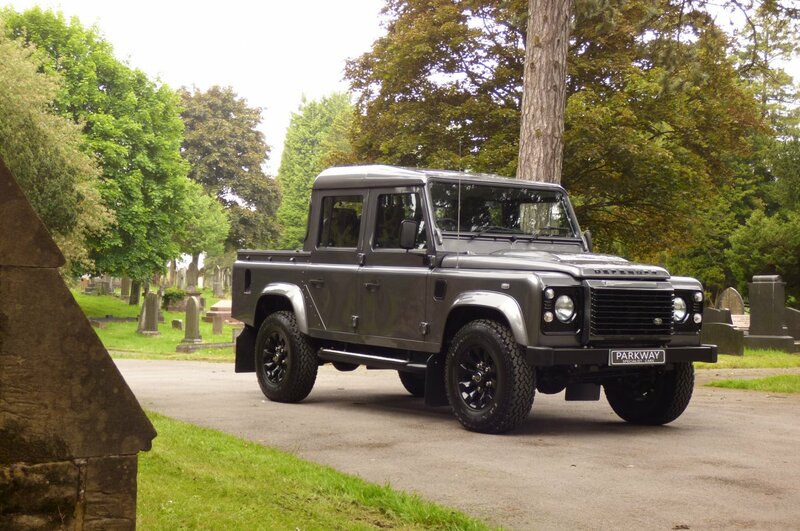 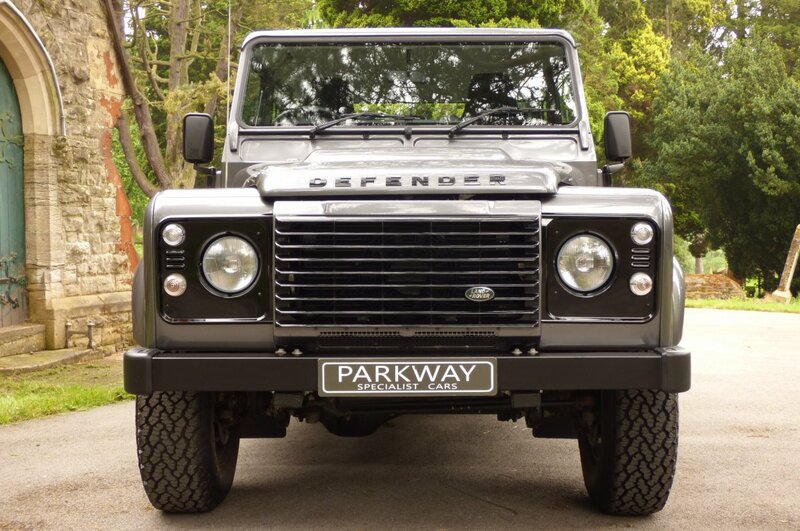 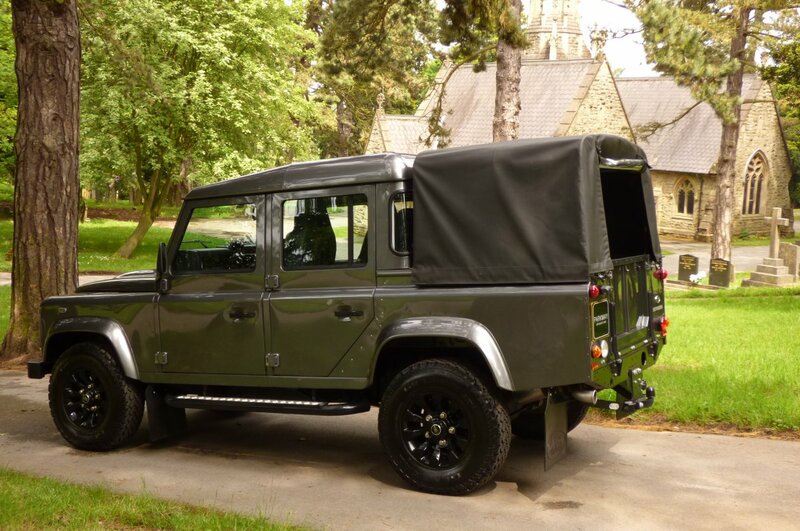 We Are Delighted To Offer This Stunning Low Mileage Defender Double Cab Onto Our Current Vehicle Inventory, With Land Rover Build Options To Include The Land Rover Embossed Two Tone Premium Leather Seats, Air Conditioning, Variable Heated Front Seating, The Two Spoke Land Rover Steering Wheel, Remote Central Locking With Alarm, Unmarked Gloss Black 16" Jigsaw Style Alloy Wheels Which All Sit On Branded Tyres, Land Rover Single Electric Tow Bar, Black Rear Cargo Cover, Axle Differential Lock, Bluetooth Phone Preparation, Halogen Front Head Lamps, Land Rover Mud Flaps, Premium Padded Cubby Box In Leather, Five Seat Configuration, Heated Front Screen, Electric Front Windows, Heavy Duty Jack, Land Rover Side Steps, Alpine CDE 133 BT Radio With CD System, Gloss Black Hexagon Front Grille And So Much More. 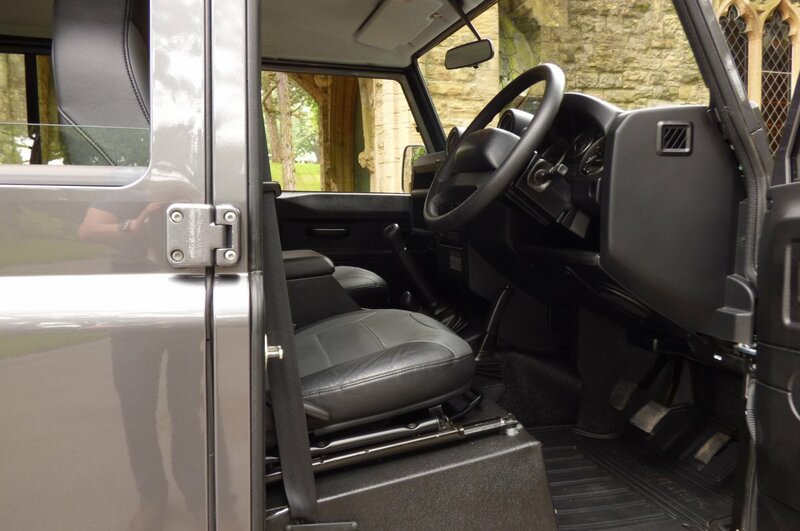 Presented With The Entire Booklet Pack Set, A Fully Cleared Hpi Certificate And A Fully Functional Key Set.